This post has now been updated by Alex Yates to reflect the latest software. Read the new post. This is a guest post from Alex Yates. Alex has been helping data professionals apply DevOps principles to relational database development and deployment since 2010. He's most proud of helping SkyScanner develop the ability to deploy 95 times a day. Originally for Redgate, later for DLM Consultants, Alex has worked with clients on every continent except Antarctica - so he's keen to meet anyone who researches penguins. A keen community member, he helps organise the London Continuous Delivery meetup and SQL Relay. 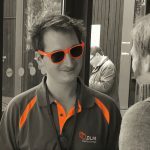 He blogs at workingwithdevs.com, speaks wherever they'll let him and manages the DLM Digest monthly email: a report on the latest database DevOps news/tutorials. First things first: at the original time of writing (October 2013) I was not a developer; I was a tech sales guy. I helped customers get started with database continuous integration (CI) and deployment. When I wrote this piece I hadn’t used Jenkins before. However, I got it working in less than an hour and documented the process. Here’s a step by step tutorial on how to set up SQL Server continuous integration with Jenkins for yourself. The point is that CI reduces your feedback loop such that changes that cause errors and break the build are caught as soon as they are committed to source control. Additionally, it is very easy to automate unit or integration tests. While CI started with application code you should apply the same principles to databases by automating your standard deployment tool to deploy your source control commit to a CI database. In this 3-step walk-through, I will explain how to get the acknowledged benefits of CI for your databases. A SQL Server that you can connect to. And, finally, the latest build of Jenkins CI (open source) which you can get from the Jenkins website. This post assumes that you already have SQL Source Control set up with SVN and that you broadly understand how it works. If you have these bits and pieces installed and in place, you’re ready to follow in my footsteps! In Jenkins click New Job (top left) and give it a name, something like “[MyDatabase] build”, and select the radio button to “Build a free-style software project”. Add the location of your source control repository where it says “Repository URL”. 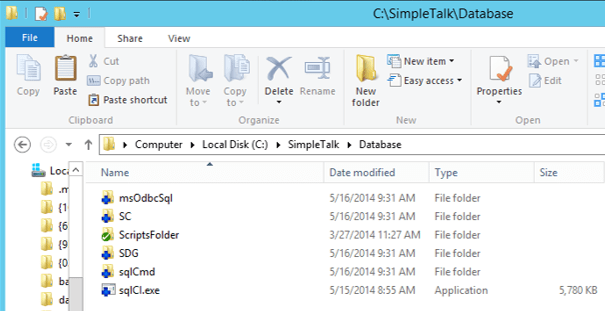 For example, I used file:///C:/SVNRepository/SimpleTalk/Database, which I copied from the Tortoise SVN repo browser. Finally set up a build trigger. The easiest way is to set it up to poll your SVN repo once a minute (copy five stars (* * * * *) into the text field). In time you may want a push trigger to improve performance but this is a quick way to get started. 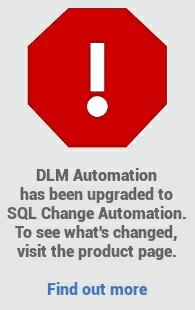 Install the DLM Automation product on each node you plan to use for database builds and fire it up. Click the Open Folder button for SQL CI. Run the dependency installer on each node. If adding SQL CI to source control, go up a layer in your file system from where you found the dependency installer, to C:/Program Files (86x)/Redgate/SQL Automation Pack 1/sqlCI. Copy the entire contents into an SVN checkout alongside your database scripts (see below). Then add and commit all the files. In Jenkins add four build steps, each using the option “Execute Windows batch command”. In each step you are going to call sqlCI.exe which we put into source control or onto your Jenkins nodes in step 2. For troubleshooting, you can find the official syntax documentation here. Build – This takes your source code, builds a scratch database from it either on localDB or on a temporary server to validate your source code, and then deletes the database because you don’t want to fill up your SQL Server instances with test databases. Note: if you use SQL Server features that are not supported on LocalDB you will have to specify a SQL Server instance where the database can be built. The build step also creates a NuGet package on disk that contains your source code. This can be re-used for your tests and deployments for consistency. You’ll need to create the output folder yourself. All the ‘temporary’ switches are optional. If not specified SQL CI will use localDB as opposed to a full SQL instance. If only /temporaryDatabaseServer is used Windows Auth will be used by default. 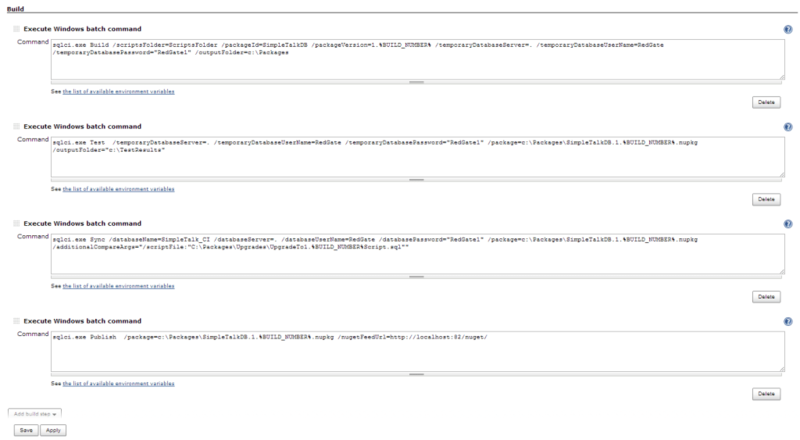 In order to view the test results in the Jenkins UI you should install the Jenkins JUnit add-in. You will also need to set a post-build action to ‘Archive the artifacts’ and tell it what you want the report to look like. If unsure, *.xml is fine. Publish – If the steps above pass, the Publish step will publish your NuGet package to a NuGet feed, from which Octopus Deploy or some other Release Management tool could pick it up and deploy it to your other environments. If you would like to learn how to configure automated deployment with SQL Release and a release management tool there are a bunch of walk-throughs here. It’s worth making a note that you must run ‘Build’ once as the first step (since this creates your package). After that it is up to which of the other steps are appropriate for your projects. You can run ‘Test’, ‘Sync’ and/or ‘Publish’ as many times as you like and in any order – or not at all – your choice. It isn’t that hard and doesn’t take that long to set up in practice. Now you can catch mistakes early using Jenkins and DLM Automation, and if you set up automated deployment using a release management tool you’ll easily be able to deploy your databases throughout your pipeline. As I mentioned at the beginning, my job is to help customers set this stuff up. You can also read more about my experiences on my personal blog. If you need any help getting set up you can reach me through the DLM team email (dlm@red-gate.com) and I’ll be happy to help. This post was first published on the futureofdeployment.com blog. Future blog posts from the team on deployment and continuous delivery will appear on the Redgate blog in the DLM category. Connect your databases to your source control system. If you’re struggling to set up a reliable, repeatable release process you’re not alone. The good news is that most of the problems you’ll encounter have been solved before.